Usually I write about how to create the best book one possibly can. Today I want to talk about how to sell the most books one possibly can. 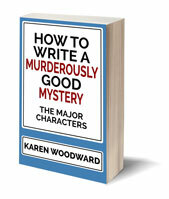 As I've mentioned in other posts, I write under pen names (and, no, +John Ward, I'm not telling you what they are ;) but am now getting to the point that I need to start thinking about how to market them most effectively. Today I'd like to share with you some of my research. I found it inspirational and thought you might too. Most of what follows is a potluck of opinions from successful authors. I hope that, as I have, you find something in the following to help you in your own journey as an indie author. "Hugh Howey is an American author, known for his popular series WOOL, which he independently published through Amazon.com's Kindle Direct Publishing system. (Wikipedia)"
The following interview is from: How I Do It: Super Successful Indie Authors Share Their Secrets. This week: Hugh Howey. Hugh Howey's advice: "Write as if nobody will read it; publish as if everyone will read it." "I published. I made each work available, and then I moved on to the next story. I also didn't fall into the trap of falling in love with my first world or first set of characters. It's easy to write sequels for the rest of your life, when no one has read the first book. That leaves you forever marketing your weakest material. Instead, I wrote in a variety of genres and styles and for all ages. When something took off, I concentrated on that." I don't wait for inspiration to strike. I sit down every day and work on my story. The creativity comes after you've got a nice sweat beading up on your brow. If you wait until you're in the mood, you'll never get anything done. I set goals. I want to write 2,000 words a day when I'm starting a draft. When I'm revising, I try to get through three chapters a day. When I'm editing, I aim for fifteen chapters a day. I often exceed my goals, but having them is what gets me cranking in the morning. "... Since self-publishing in June of 2011, she's sold more than a million ebooks all over the world. ... (lilianaheart.com)"
The following interview is from: How I Do It: Super Successful Indie Authors Share Their Secrets. This week: Liliana Hart. Hard work and having new books out on a consistent basis. I write all the time. Once you start self-publishing you have to constantly "feed the beast". … I honestly think if you keep putting out quality content with a professional package that you’re going to find success. Hard work pays off, and self-publishing is a lot of hard-work, but I wouldn’t have it any other way. I love being in control of my career and being able to make changes if I need to. "Matthew Mather is the best-selling author of CyberStorm, recently acquired for film by 20th Century Fox, and the six-part hit series Atopia Chronicles. He is also a leading member of the world’s cybersecurity community who started out his career working at the McGill Center for Intelligent Machines. (matthewmather.com)"
Matthew Mather has developed a system for marketing his books, one he shared with readers for the first time earlier this month in his post: SHAKESPEARE system for helping authors figure out self-publishing. Where Hugh Howey and Liliana Hart talked about the key to producing novels, Matthew Mather is focused on marketing the finished product. Rather than stepping through his points one by one I'll let you read his excellent article for yourself and, instead, pick out what I thought were the highlights. "It is critical to create a character that you introduce readers to right away that they can empathize with. People read still primarily because they want to feel an emotional involvement with a character they meet in your writing. Keep this front and center of your mind when writing." "Craigslist and other free online classified ads are the secret weapon for a new authors. It is incredibly difficult to get outside feedback when you are a new writer. My solution? Post an ad saying you’ll pay someone $10 or $20 to read your book and give you honest feedback. Note that this is not for line editing, but for high level feedback to make your story more engaging in an iterative process. "Bonus: Get 20 people to read your book like this; these people will probably become your biggest promoters and will be happy to write reviews and Facebook and tweet your book when released. "Free PR – When you release your book, create several press releases about different aspects of the book, what it is about, why people would like it. When you release each of the story segments, put these press releases up on the free press release websites. There are about a dozen high quality free release sites out there. 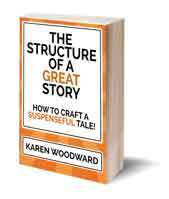 Highlight that the short story that is free that week." "To start, focus only on Amazon. I’m not here to promote Amazon, but the first rule of entrepreneurism is to focus, focus, focus. The large majority of revenue in digital books comes from Amazon, with a small minority coming from all of the other players combined. So when you start, focus on Amazon by itself; getting reviews, getting up in the ranking. By only going on Amazon, you force people to buy from one place and thus drive up your rankings in this one spot. Once you have achieved some success there, expand to other platforms (FYI the easiest way to get on other platforms is just to use Smashwords)." "Use the Amazon Select Program: You can offer your book for $0 (free) for 5 days each 3 months. Used effectively, this is an extremely potent tool for reaching an audience. There are at least 40 websites I use to promote a “free weekend” for my books (email me for a list) – these sites are mostly specific to books that go free on Amazon Select and are mostly free to use for promotion. "If you can plan it ahead of time, write out all of the parts of your serialized work ahead of time, and then each two weeks release one of them, promoting it on Amazon select for free and on the promotional websites. I can usually get 4000+ downloads of a free book when I do this." The above is only a fraction of the advice Matthew Mather gives in his article. Worth the read. Photo credit: "Untitled" by Thomas Leuthard under Creative Commons Attribution 2.0. These are awesome. I never read these tips before. Thanks for putting them in one place.